Optus has announced pricing and launch details for RIM's new range of BlackBerry smartphones, specifically the Torch 9860 and the Bold 9900. Both handsets will be available exclusively through Optus from 1 September. The new smartphones will be the first BlackBerry devices to ship with the latest BlackBerry 7 operating system. Amongst the new features are an improved, faster Web browser, voice-activated searches, the ability to manage personal content separately from corporate content with BlackBerry Balance, as well as a number of additional personal and productivity applications. 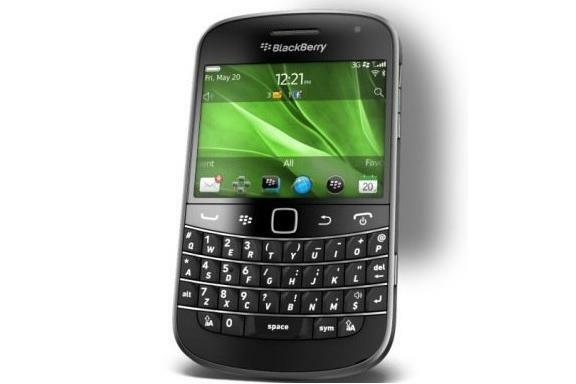 The BlackBerry Bold 9900 is the thinnest BlackBerry ever released at 10.mm and features a capacitive touchscreen combined with a full QWERTY keyboard. The Bold 9900 will be available for $0 upfront on a $79 Optus cap or timeless plan, and $0 upfront on a $79 Optus business complete or timeless plan, both over 24 months. The BlackBerry Torch 9860 is RIM's third touchscreen-only device, following the unsuccessful Storm and Storm 2 handsets. It will be available for $0 upfront on a $49 Optus cap plan over 24 months, and $0 upfront on a $49 business cap plan over 24 months. Both the new Bold and the new Torch are powered by a 1.2GHz Snapdragon processor, 768MB RAM and have 8GB of internal memory, along with a microSD card slot for extra storage — significantly improved specifications over previous BlackBerry models. Consumers interested in the BlackBerry Torch 9860 or BlackBerry Bold 9900 can pre-order the handsets through Optus' Web site.